Handmade garden art is unique and beautiful. Created with an artisan's imagination and touch, they will add class and style to any space. 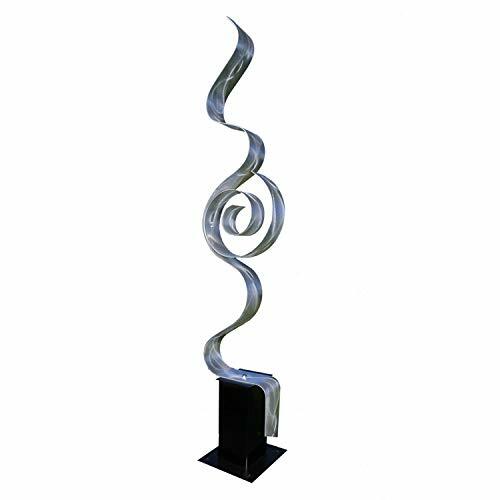 This silver freestanding indoor-outdoor metal sculpture complements any décor and comes to life in light! Handcrafted and made with the highest quality materials. 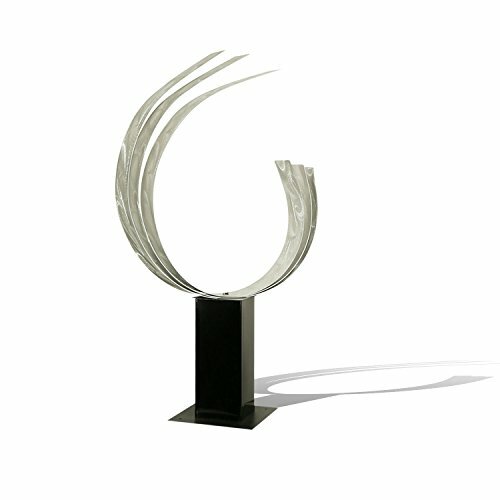 Built to last with aircraft grade aluminum, the sculpture is as durable as it is beautiful. Each sculpture includes an artistic base. Place in your garden, on your lawn, alongside your pool, driveway, or entry way to delight guests and neighbors. Each handcrafted piece is signed by American artist Jon Allen and includes a certificate of authenticity. This large sculpture measures 62 in x 12 in x 7 in including the 12 in artistic base. 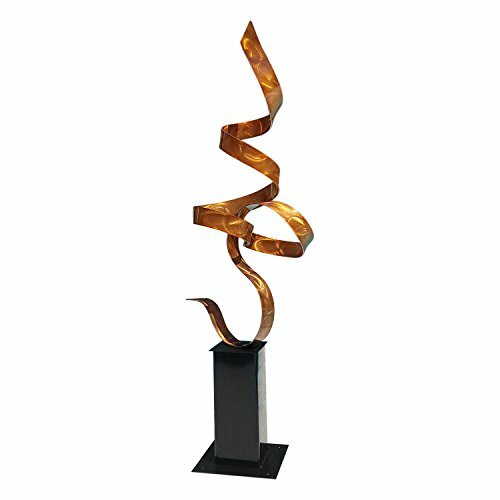 This copper freestanding indoor-outdoor metal sculpture complements any décor and comes to life in light! Place in your garden, on your lawn, alongside your pool, driveway, or entry way to delight guests and neighbors. 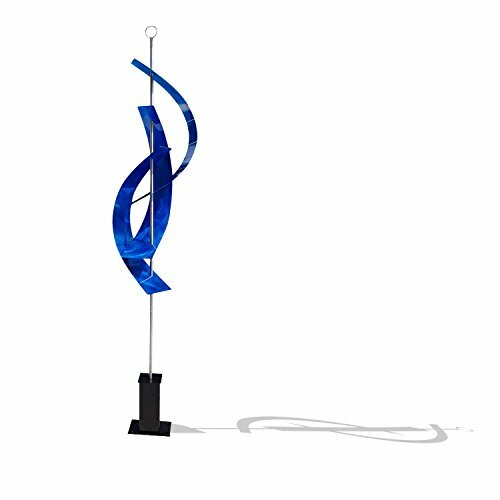 Made from aircraft grade aluminum and treated with a protective UV coating this stunning indoor-outdoor sculpture is as durable as it is beautiful and can be displayed outdoors year-round. The sculpture includes an artistic handcrafted base that enhances the sculpture's allure. Each handcrafted piece is signed by American artist Jon Allen and includes a certificate of authenticity This large sculpture measures 49" x 17" x 14" including its 12 inch artistic base. 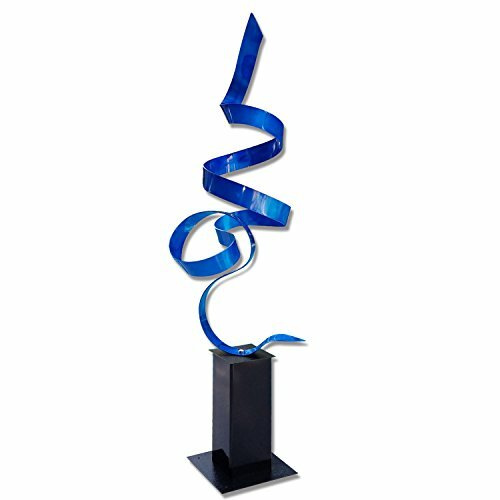 This stunning freestanding sculpture in blue & black, Blue Perfect Moment, will complement any décor and comes to life in light! 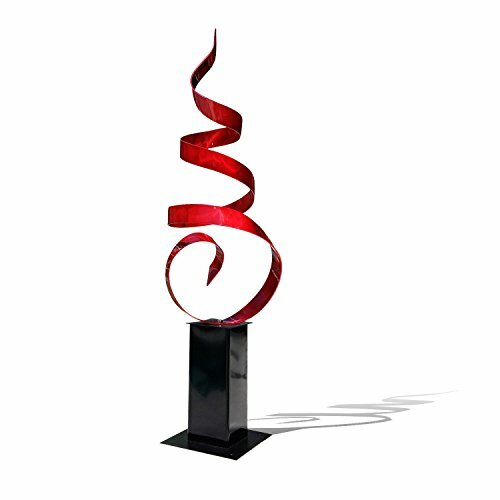 Made from aircraft grade aluminum and treated with a protective UV coating this stunning indoor-outdoor sculpture is as durable as it is beautiful and can be displayed outdoors year-round. 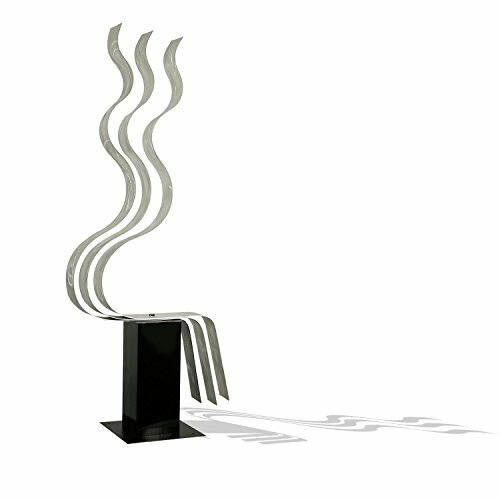 The sculpture includes an artistic handcrafted base that enhances the sculpture's allure. Each handcrafted piece is signed by American artist Jon Allen and includes a certificate of authenticity. This large sculpture measures 49" x 17" x 14" including its 12" base. 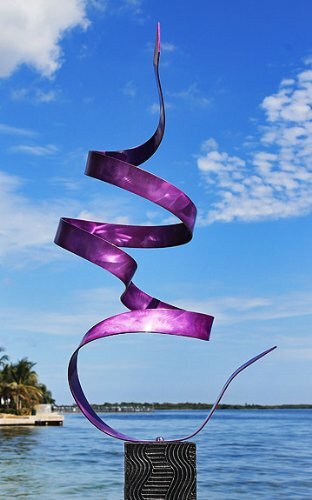 This brilliant purple jewel tone freestanding sculpture, Purple Twist by Jon Allen, will complement any decor, inside or out. 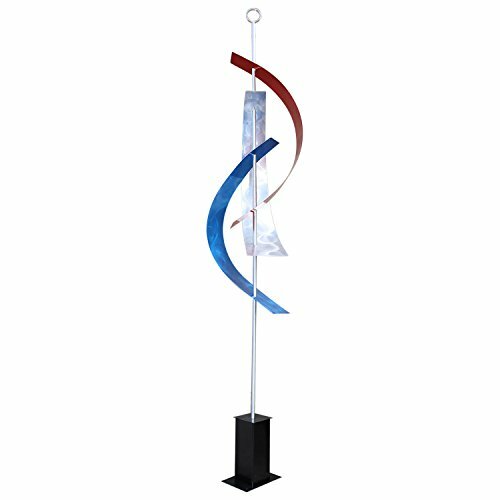 Made from aircraft grade aluminum and treated with a protective UV coating this stunning indoor-outdoor sculpture is as durable as it is beautiful and can be displayed outdoors year-round. The sculpture includes an artistic handcrafted base that enhances the sculpture's allure. Each handcrafted piece is signed by American artist Jon Allen and includes a certificate of authenticity This large sculpture measures 49 in x 15 in x 15 in including the 14 in artistic base.